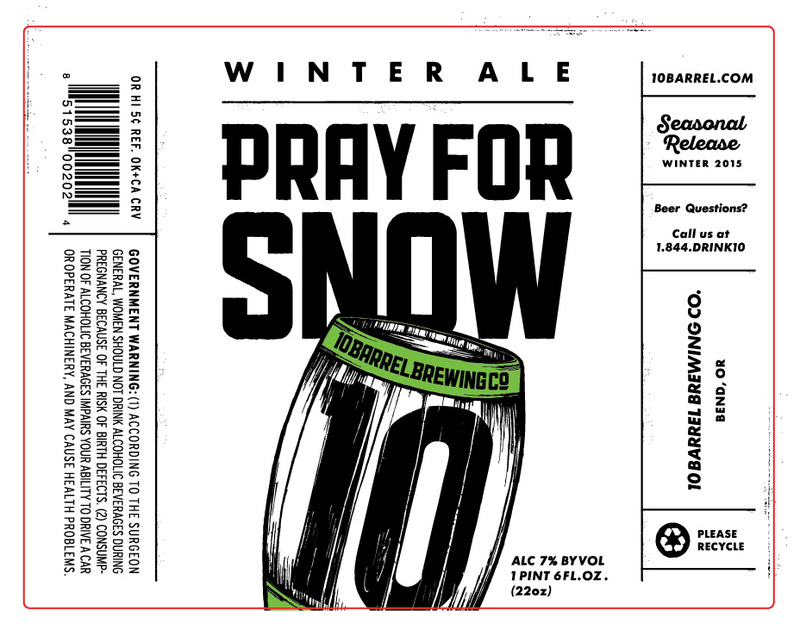 Even though the seasonal clock still says its summer, 10 Barrel Brewing will release its popular winter seasonal Pray for Snow today at its Portland Pub in the Pearl District. All day today, Friday, September 18, patrons will be able to get their first chance to try a pint of Pray for Snow this season. Wear 80’s ski gear to increase your chance on winning by 5 times! The fun begins today when 10 Barrel begins serving up Pray for Snow when the pub opens at 11:00am and will last until last call.